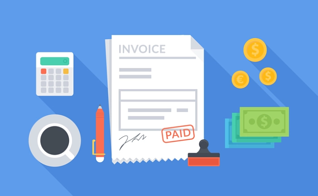 If you’re a business owner, there are two easy ways to turn your unpaid customer invoices into cash – invoice factoring and invoice financing. While these two terms are closely related, there are some important differences that may confuse you if you’re not familiar with them. With invoice factoring, the factoring company with which you’re working takes over the entire revenue collecting process. They pay a certain percentage of the outstanding invoices from your clients, and then they manage invoice collection. Once the factoring company obtains what your client owes, the factor will give you what the client owed you and keep the pre-arranged percentage to cover their services. With invoice factoring, your clients interact with the factoring company to pay the outstanding invoice instead of paying your business directly. Invoice financing refers to borrowing money against your outstanding accounts receivables. An invoice financing company will give you a loan based on a percentage of your current accounts receivables. Once your clients pay what they owe, you’ll pay back your loan, plus any accrued fees and interest. This is different from invoice factoring, because your business is responsible for keeping track of what your clients owe and taking payments from them. This method better suits businesses that need money much faster and that trust their customer base to pay their bills in a reasonable time. Whether your business decides to use invoice factoring or invoice financing, these options may be the only ones open to you if you don’t qualify for other forms of loans or business credit. These types of alternative financing can be easier to secure than others are, because lenders typically look primarily at your past invoices and less at your overall financial status, such as your credit score. Whether that’s to expand and make more money or to keep afloat until a traditional upswing, invoice factoring and invoice financing can offer fast working capital. This means that your business can offer better terms to its customers, increase its bottom line, and stay in control of its finances. There aren’t many ways to get access to money without going into further debt, but these methods ensure you get the money you need without hurting your credit. To learn more about invoice factoring and how it can benefit your company, contact a representative from Bay View Funding today.